There are loads of easy nail art designs you can hack. All you need to do is read this post, and you’re off to a good start. And if you’re reading this post the likelihood is you’re in search for easy nail art designs you can do inside the comfort of your home. Here’s an extra ounce of inspiration for you to bring out your creative side. These are some alternative ways to treat your nails and make them pretty. In this list, I’ve compiled some of my favorite easy nail art designs. Don’t be deceived by the nitty gritty details. They may look complex but you can certainly carry your way around them. As an added bonus, they’re also showstoppers. Ready? Indulge in this list of easy nail art designs. Some of the items contain a link to their full tutorials to give you an easy and breezy time recreating them. Are you not intrigued by how this design is created? It surely looks complex, but it’s actually one of the easy nail art designs you can find. The secret is all in the dip. Yes, this nail art is all about dipping. For a full tutorial, check this post from Nail Designs. Creating fun and intricare designs need not break your sweat. Just take a look at this nail art design. It’s hip, fun and cool, and it’s as simple as pasting the nail tape onto the nails. Check this link for the tutorial. Aiming for simplicity and sophistication? Here’s an easy nail art designs you can don. The double half moon is a chic design perfect even for formal events. Here’s a link to the full tutorial. With a color palette made up of solid cremes ranging from dark to light hues, this easy nail art designs is reminiscent of moder mid-century shade. The gradient color is a wonderful backdrop to showcase the play of dotted colors. Recreate this design via this tutorial from The Closet Historian. If we talk about whimsical and feminine design, American designer Betsey Johnson always comes to mind. Her design aesthetics are show-stopping over the top pieces just like this nail design. Don’t be intimidated by this nail art as it’s easy to do. Read this tutorial so you can find out for yourself. You don’t have to be crazy about fruits for you to love this easy nail art designs. It’s fresh and colorful without being to loud. Have a taste of this fruity tooty design by following these steps. Art comes in all forms of tool. Case in point is this nail art, which utilizes wrap to create an amazing design. Here’s Nihrida‘s rundown on how to come up with this Saran Wrap Mani. Who says you need to be very creative tp hack a nail design as intricate as this? The magic is actually in the stickers! Yes, stickers! You lovelies can get a jaw-dropping design like this. Just check the full tutorial here. For those of you who find perfect as boring, here’s a nail art you can sport. Unleash your creative juices to make this free-form flowers. See how the colors go beyond the borders yet look stunningly beautiful? To hack this nail art, check this link. Who doesn’t love Hello Kitty? This fictional character is one of the most well-loved characters theree is. So, it’s no surprise a lot of art is inspired by it. This stiletto nail design is easy to do plus it uses only a few basic colors. Here’s the full tutorial. Not loving having to don the same design on all of your nails? Then, here’s some Skittles for you to drool over. Paint different shapes and patterns on each nail using either the same color or different hues. The choice is up to your taste and preference. Be a mix of sugar and spice in this playful yet provoking easy nail art designs. There’s nothing more exciting than wearing a mix of foxy yet tamed nail art. Here’s how you can recreate this design. Take inspiration from the designs that made it to the runway. This nail art may be inspired by Fausto Puglisi’s 2014 Fall collection yet it remains very current. Miss Ladyfinger gives you a tutorial on how to duplicate this look. Drippy nails are cool designs you can easily recreate. Aren’t you reminded of melting ice cream when you see designs like this? Here’s a tutorial from Have Less Travel More so you can hack this nail art. Be inspired by the beauty of cherry blossoms, and create this nail art. This is a girly design made alive by a fun mix of colors. Paulina’s Passions shares this tutorial for you to replicate. Scotch tape is not only a reliable office and school material as it’s also handy in doing nail art. Take a look at this sparkly overlay design, which was created with the use of the ever handy scotch tape. Who would have thought this sophisticated art was made with that? Get the tutorial this design here. Effortlessly chic is the best way to describe this nail art. It’s easy to recreate as much as it is uncomplicated to look at. Get a fresh set of manicure by recreating the design with this tutorial. Be bold with this houndstooth design. 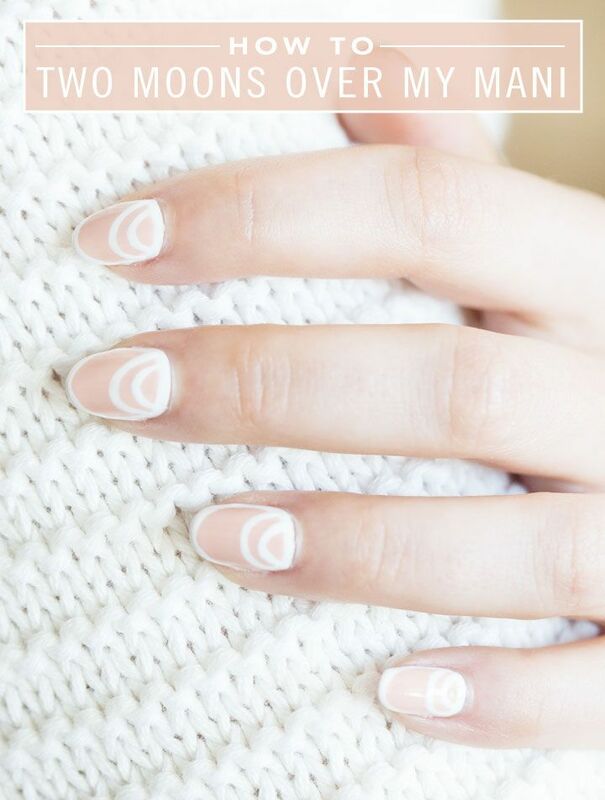 The nail art undoubtedly looks complicated to do but Celine Does Nails provides an easy tutorial for this classic print. Follow the link, and hack the design with breeze. Get the vibe of the great Gatsby with this art deco nail art. The design is a simple DIY but quite time consuming considering its intricate details. Take tips from Nail in the Coffee on how to recreate this nail art. Lisa Frank has been synonymous to colorful. The American businesswoman personifies vivid and vibrant designs so it’s but fitting to name this easy nail art designs after her. I mean, who isn’t crazy about gradient nails? It’s a wonder how two colors are mixed so perfectly. At first glance, it looks puzzling how it came out to be. Nevertheless, it’s as easy as counting or reciting the alphabet. Here’s Nail Designs‘ take on this nail art. Don’t stress over having great nails. There are loads of easy nail art designs you can do yourself. Better yet, you can have your girlfriends over and you can have a nail art party! Sounds exciting, right? Have fun, loves! When I collated these items, I was having a hard time believing there are so many easy nail art designs available. I’m quite certain I can do almost all items in this list. How about you? Can you recreate these designs on your own? Let me know and share your thoughts in the comment section below. With the easy part covered, amp your nail art designing skills with this Dandelion nail art tutorial. For more makeup trends and news please visit my Facebook, Instagram, and Twitter.